Chocolate Fest is back this year in Jonesborough! The festival will take place on Saturday, February 11 from 11-4. The Chester Inn State Historic Site and Museum will be one of the stops you can get chocolate from that day. The Museum will be open from 11-4 with a Historic Jonesborough Town Tour at 1:00. Tickets for the Town Tour are $5.00 per person and are available at the Chester Inn. Tickets for Chocolate Fest are available by calling (423) 753-3819 or (423) 913-2663. 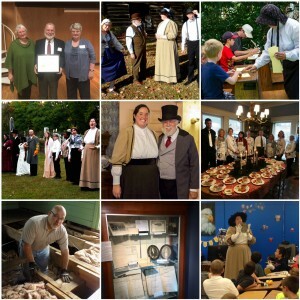 Learn some history while enjoying some delicious chocolate! 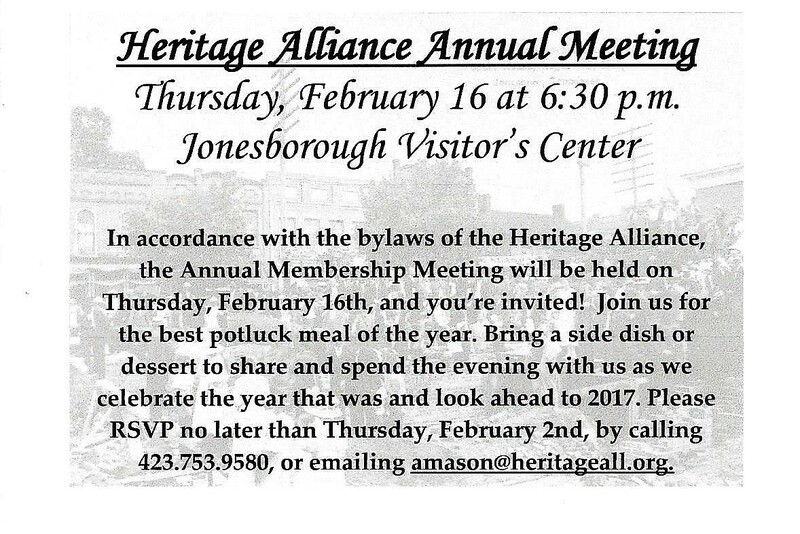 Our Annual Membership Meeting will be held on Thursday, February 16, at 6:30 at the Jonesborough Visitor’s Center. Join us for the best potluck meal of the year. Bring a side dish or dessert to share and spend the evening with us as we celebrate the year that was and look ahead to 2017. Heritage Alliance Members and Volunteers will receive a postcard invite in the mail. The program for the evening will include a brief business meeting, success stories from 2016, and a special scene from With These Hands. 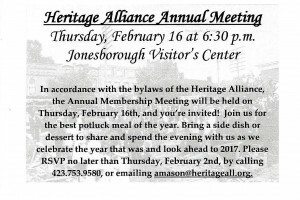 Please RSVP no later than Thursday, February 2 by calling 423-753-9580, or emailing amason@heritageall.org.